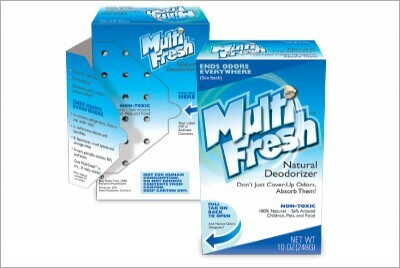 Natural Freshener Packaging :: INHOUSE Productions Ltd. Create bilingual artwork for the Canadian market from U.S. packaging. Preparation of linear artwork with dieline for printing. Preparation of matching sell sheets and 3D illustration of product packaging for in-store promotion across Canada. Packaging designed by INHOUSE in July 2009.